It seems that the Galaxy Note 7 continues to be a problem for Samsung, months after it stopped manufacturing the troubled handsets. The Korean company reported that a fire at a Samsung SDI plant yesterday was caused by waste products including the faulty batteries from its recalled smartphones. Samsung SDI, the first supplier of the Note 7’s batteries, said the fire in Tianjin, China, was “minor” and has since been extinguished. There were no injuries, and it hasn’t affected production, according to spokesman Shin Yong-doo. The fire broke out in the part of the facility used for waste. Fire officials said the "material that caught fire was lithium batteries inside the production workshops and some half-finished products." The Wuqing branch of the Tianjin Fire Department added that 110 firefighters and 19 trucks were sent to put out the flames, which sounds like a lot for a “minor” fire. Although Reuters reports that SDI is manufacturing the batteries for the upcoming Galaxy S8, which will reportedly be released in mid-April, there are rumors that Samsung may use Japanese supplier Murata Manufacturing Company for the flagship's batteries instead. 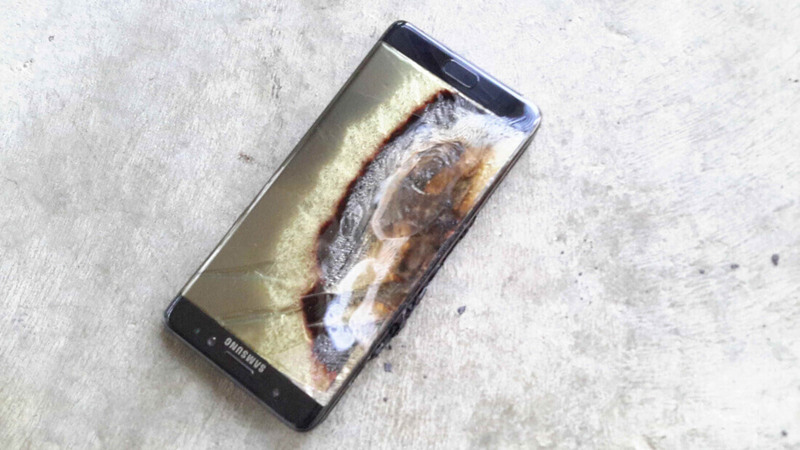 The official cause of the Note 7 fires was revealed last month. In the first set of batteries, manufactured by Samsung SDI, there was a flaw in the upper right corner that caused a deflection in the negative electrode, leading to a short circuit. Samsung then turned to Amperex Technology for the second set of batteries. But the speed at which they needed to be produced meant another manufacturing issue occurred. This time, the defect led to the positive tab short-circuiting with the negative electrode.